The term “no-fault divorce” means that a divorce may be obtained without regard to marital fault. A no-fault divorce may be obtained without establishing guilt on the part of the defendant, innocent-and-injured spouse status on the part of the plaintiff and without the consent of the parties. Generally, where both parties do not consent, the moving party in the divorce needs to establish that the marriage is irretrievably broken and that a period of separation of more than two years has occurred. Miller Lyden P.C. 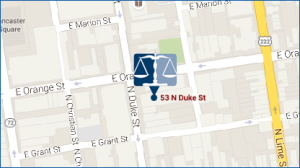 can provide counsel on how to best proceed with your case throughout the divorce process. Sometimes litigation of a divorce is unavoidable. The parties may not be able to settle matters of support, alimony, assets or custody. Also, one party may simple wish to challenge the very grounds for divorce. Pursuant to Title 23, Section 3301 of the Pennsylvania Code grounds for divorce consist of the following. (1) Committed willful and malicious desertion, and absence from the habitation of the injured and innocent spouse, without a reasonable cause, for the period of one or more years. (3) By cruel and barbarous treatment, endangered the life or health of the injured and innocent spouse. (4) Knowingly entered into a bigamous marriage while a former marriage is still subsisting. (5) Been sentenced to imprisonment for a term of two or more years upon conviction of having committed a crime. (6) Offered such indignities to the innocent and injured spouse as to render that spouse’s condition intolerable and life burdensome. (b) Institutionalization.–The court may grant a divorce from a spouse upon the ground that insanity or serious mental disorder has resulted in confinement in a mental institution for at least 18 months immediately before the commencement of an action under this part and where there is no reasonable prospect that the spouse will be discharged from inpatient care during the 18 months subsequent to the commencement of the action. A presumption that no prospect of discharge exists shall be established by a certificate of the superintendent of the institution to that effect and which includes a supporting statement of a treating physician. (1) The court may grant a divorce where it is alleged that the marriage is irretrievably broken and 90 days have elapsed from the date of commencement of an action under this part and an affidavit has been filed by each of the parties evidencing that each of the parties consents to the divorce. (2) The consent of a party shall be presumed where that party has been convicted of committing a personal injury crime against the other party. (i) Does not deny the allegations set forth in the affidavit. (ii) Denies one or more of the allegations set forth in the affidavit but, after notice and hearing, the court determines that the parties have lived separate and apart for a period of at least two years and that the marriage is irretrievably broken. (2) If a hearing has been held pursuant to paragraph (1)(ii) and the court determines that there is a reasonable prospect of reconciliation, then the court shall continue the matter for a period not less than 90 days nor more than 120 days unless the parties agree to a period in excess of 120 days. During this period, the court shall require counseling as provided in section 3302 (relating to counseling). If the parties have not reconciled at the expiration of the time period and one party states under oath that the marriage is irretrievably broken, the court shall determine whether the marriage is irretrievably broken. If the court determines that the marriage is irretrievably broken, the court shall grant the divorce. Otherwise, the court shall deny the divorce. (e) No hearing required in certain cases.–If grounds for divorce alleged in the complaint or counterclaim are established under subsection (c) or (d), the court shall grant a divorce without requiring a hearing on any other grounds. 2016 Amendment. Act 24 amended subsec. (c). Cross References. Section 3301 is referred to in sections 1702, 3103, 3302, 3307, 3323 of this title. (a) Indignities.–Whenever indignities under section 3301(a)(6) (relating to grounds for divorce) is the ground for divorce, the court shall require up to a maximum of three counseling sessions where either of the parties requests it. (b) Mutual consent.–Whenever mutual consent under section 3301(c) is the ground for divorce, the court shall require up to a maximum of three counseling sessions within the 90 days following the commencement of the action where either of the parties requests it. (c) Irretrievable breakdown.–Whenever the court orders a continuation period as provided for irretrievable breakdown in section 3301(d)(2), the court shall require up to a maximum of three counseling sessions within the time period where either of the parties requests it or may require such counseling where the parties have at least one child under 16 years of age. (d) Notification of availability of counseling.–Whenever section 3301(a)(6), (c) or (d) is the ground for divorce, the court shall, upon the commencement of an action under this part, notify both parties of the availability of counseling and, upon request, provide both parties a list of qualified professionals who provide such services. (e) Choice of qualified professionals unrestricted.–The choice of a qualified professional shall be at the option of the parties, and the professional need not be selected from the list provided by the court. (f) Report.–Where the court requires counseling, a report shall be made by the qualified professional stating that the parties did or did not attend. (g) Exception.–Notwithstanding any other provision of law, in no case may the court require counseling over the objection of a party that has a protection from abuse order, enforceable under Chapter 61 (relating to protection from abuse) against the other party, or where that party was the victim of a personal injury crime for which the other party was convicted or has entered into an Accelerated Rehabilitative Disposition program as a result of conduct for which the other party was a victim. 2016 Amendment. Act 24 added subsec. (g). Cross References. Section 3302 is referred to in section 3301 of this title. 3303. Annulment of void and voidable marriages. (a) General rule.–In all cases where a supposed or alleged marriage has been contracted which is void or voidable under this title or under applicable law, either party to the supposed or alleged marriage may bring an action in annulment to have it declared void in accordance with the procedures provided by this part and prescribed by general rules. (b) Common-law marriage.–In the case of a purported common-law marriage where a party was under 18 years of age, a parent or guardian of the minor may bring a declaratory judgment proceeding during the party’s minority to have the marriage declared void. Cross References. Section 3303 is referred to in section 3304 of this title. 3304. Grounds for annulment of void marriages. (1) Where either party at the time of such marriage had an existing spouse and the former marriage had not been annulled nor had there been a divorce except where that party had obtained a decree of presumed death of the former spouse. (2) Where the parties to such marriage are related within the degrees of consanguinity prohibited by section 1304(e) (relating to restrictions on issuance of license). (3) Where either party to such marriage was incapable of consenting by reason of insanity or serious mental disorder or otherwise lacked capacity to consent or did not intend to consent to the marriage. (4) Where either party to a purported common-law marriage was under 18 years of age. (b) Procedures.–In all cases of marriages which are void, the marriage may be annulled as set forth in section 3303 (relating to annulment of void and voidable marriages) or its invalidity may be declared in any collateral proceeding. Cross References. Section 3304 is referred to in section 1702 of this title. 3305. Grounds for annulment of voidable marriages. (1) Where either party to the marriage was under 16 years of age unless the marriage was expressly authorized by the court. (2) Where either party was 16 or 17 years of age and lacked the consent of parent or guardian or express authorization of the court and has not subsequently ratified the marriage upon reaching 18 years of age and an action for annulment is commenced within 60 days after the marriage ceremony. (3) Where either party to the marriage was under the influence of alcohol or drugs and an action for annulment is commenced within 60 days after the marriage ceremony. (4) Where either party to the marriage was at the time of the marriage and still is naturally and incurably impotent unless the condition was known to the other party prior to the marriage. (5) Where one party was induced to enter into the marriage due to fraud, duress, coercion or force attributable to the other party and there has been no subsequent voluntary cohabitation after knowledge of the fraud or release from the effects of fraud, duress, coercion or force. (b) Status of voidable marriage.–In all cases of marriages which are voidable, either party to the marriage may seek and obtain an annulment of the marriage but, until a decree of annulment is obtained from a court of competent jurisdiction, the marriage shall be valid. The validity of a voidable marriage shall not be subject to attack or question by any person if it is subsequently confirmed by the parties to the marriage or if either party has died. 3306. Proceedings to determine marital status. When the validity of a marriage is denied or doubted, either or both of the parties to the marriage may bring an action for a declaratory judgment seeking a declaration of the validity or invalidity of the marriage and, upon proof of the validity or invalidity of the marriage, the marriage shall be declared valid or invalid by decree of the court and, unless reversed upon appeal, the declaration shall be conclusive upon all persons concerned. Cross References. Section 3306 is referred to in section 7541 of Title 42 (Judiciary and Judicial Procedure). (a) General rule.–Existing common-law defenses are retained as to the grounds enumerated in section 3301(a) and (b) (relating to grounds for divorce). The defenses of condonation, connivance, collusion, recrimination and provocation are abolished as to the grounds enumerated in section 3301(c) and (d). (4) exposed the defendant to lewd company whereby the defendant became involved in the adultery. 3308. Action where defendant suffering from mental disorder. If a spouse is insane or suffering from serious mental disorder, an action may be commenced under this part against that spouse upon any ground for divorce or annulment. 3309. General appearance and collusion. The entry of a general appearance by, or in behalf of, a defendant does not constitute collusion. Collusion shall be found to exist only where the parties conspired to fabricate grounds for divorce or annulment, agreed to and did commit perjury or perpetrated fraud on the court. Negotiation and discussion of terms of property settlement and other matters arising by reason of contemplated divorce or annulment do not constitute collusion. Regardless of the reason for litigation, it is imperative to have experienced counsel assist in preparation of your divorce case for court. 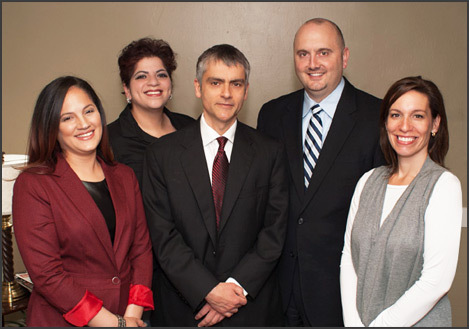 Miller Lyden attorneys are experienced, aggressive trial attorneys. We will help you to present your case effectively before the family court judge.